Here is a sample of the ocean stories I've helped tell over the years. Renowned for its cobalt blue colour and clarity, at 1,900 m elevation, Lake Tahoe is North America’s largest alpine lake. It straddles the California-Nevada border and on all sides rise the peaked Sierra Nevada mountains. Over two million people visit the Tahoe region annually; Frank Sinatra once owned a casino on Lake Tahoe’s shore. It’s little surprise then, that when increasing murkiness threatened the pristine quality of the lake, restoring its clarity became a regional and national conservation phenomenon – restoration efforts having escalated after Bill Clinton and Al Gore’s 1997 visit. These days, the annual State of the Lake Report, published by UC Davis’s Tahoe Environmental Research Center (TERC), warrants being publicized via a press release. A feature article targeting ocean researchers and industry professionals. Read on, here. This research will create an auditing toolkit — a scientific balance sheet — for the Northwest Atlantic’s capacity to absorb carbon dioxide from the atmosphere, now and in the future. Measurement of how much of the carbon dioxide emitted by human activities is absorbed by the ocean is critical for design and assessment of policies required to mitigate climate change. The module will assemble a unique suite of measurements and models in order to assess the carbon dioxide strength regionally. Web content describing research programs that I helped to create for the Ocean Frontier Institute, in Halifax, Nova Scotia. The website's target audience is the public. Read on, here. My peer-reviewed masters thesis work, published in Cold Regions Science and Technology. Read on, here. In 2014, the Salish Sea Marine Survival Project (SSMSP) began, launching over thirty scientific studies into the lifecycle of Coho and Chinook Salmon of the Salish Sea. These West Coast fisheries collapsed over twenty years ago, and have not since recovered. At the close of this five-year program, researchers hope to understand why salmon mortality is so high. Their aim is to inform efforts at recovery and at sustainable fishing. A feature article targeting ocean researchers and industry professionals, published on RBR Ltd.'s website. Read on, here. The ocean is undergoing unprecedented change. Pollution, acidification, overfishing, demand for resources, and climate change are affecting marine populations and coastal communities alike. With the world’s longest coastline along the Arctic, Atlantic, and Pacific ocean basins, Canada experiences these changes acutely and has a deep appreciation for the interconnected nature of Earth’s biggest physical feature. These universal challenges demand the integration of multidisciplinary knowledge and coordination across traditional boundaries. While Canada is internationally recognized for its excellence in ocean research and leading role in international research collaboration (Coward et al., 2000), a comprehensive understanding of national capacity to address future questions of ocean science is essential. The Council’s report is intended to inform this discussion. A report by the Council of Canadian Academies that I helped to produce. See the full report here. A feature article published in Marine Technology, an ocean industry magazined, targeting ocean researchers and industry professionals. Read on, here. A boy from Ottawa goes off in search of pirate ships and treasure, but instead finds adventure and friendship on a Canadian coastguard research vessel. Stowed aboard the CCGS Kellerman, Oli sails from the Atlantic, through the Northwest Passage of the Arctic and around to the Pacific, all the while helping the ship’s crew to complete its scientific mission. 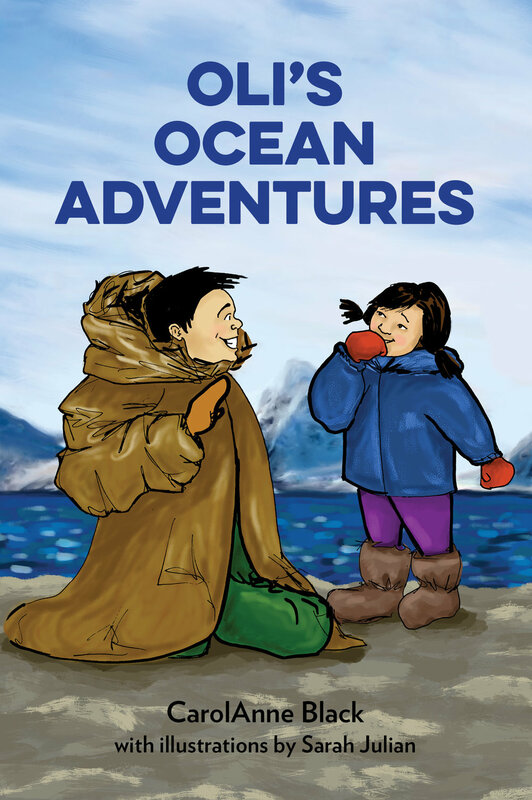 Oli’s Ocean Adventures is a story about a child’s discovery of Canada’s oceans and his connection to them. My novel that inspires children (aged 8 to 12) to care about the oceans. You can find it on Amazon, here. Although there is a range of environmental conditions in which an animal can survive, there is an even smaller range of conditions in which it can thrive. New MEOPAR research examines the ability of marine fish and invertebrates off Eastern Canada, a globally important fishing region, to tolerate environmental change. The study, published in the journal PLOS ONE, finds that in the next fifty years, a number of regional species will experience conditions of low oxygen that may stress or kill them. The study also finds that species will likely face periods of stressful conditions over the next few decades due to variation in regional oxygen levels and temperature. A news piece published on the website of MEOPAR, one of Canada's Networks of Centres of Excellence. Read on, here.